 The Scene Magazine - Page 4549 of 4581 - What's up Toronto? Greensleeves – 25 years and counting! Comments Off on Greensleeves – 25 years and counting! Posted by Darrell on Nov 28, 2011 in St. John's, St. John's food | Comments Off on Greensleeves – 25 years and counting! Folks its been there for 25 years! Twenty-Five years on George Street, means 25 winters and for those from St.Johns (who know old man slush personally), its common knowledge that this is no easy feat. Four years ago Jody Temple and Stephan Hancock took it on themselves to make this well known bar their new home. Sixteen year veterans on the scene, Temple and Hancock, decided to change the way things are done at Greensleeves. And if you walk in there on any night of the week youll see theyve made all the right moves. Packed crowds, top level talent, great food, 13 beers on tap with a wide variety of whiskeys and premium spirits and youll see first hand why Greensleeves should be on the top of your list. One of the turning points to their success was the menu Jody Temple explains We knew this great chef Trevor Whalen, but he was away in Alberta. So Stephan and I actually made it a key plan to recruit him. We phoned him up and wouldnt hang up the phone until he agreed to come work for us. It was a real turning point in the business. Im confident that we have one of the best menus in town now thanks to Trevor, it was a worthwhile investment. Oh and did we mention the talent? Damian Follett who’s played from St.John’s to Nashville is a regular, only the best that the city has to offer 7 days a week, classic rock, new rock and notable toe tapping Top 40 favorites. With a 2011 renovation that added large garage doors on the second floor The Well over looking George Street, we predict nothing but good things in 2012 for Greensleeves. Expect to see a new website www.greensleevespub.ca, more renovations and constant up-grades to the menu. Be sure and drop by on your next night out, you wont be disappointed!